Is Your Kid’s Lunch Preparing Her For War? 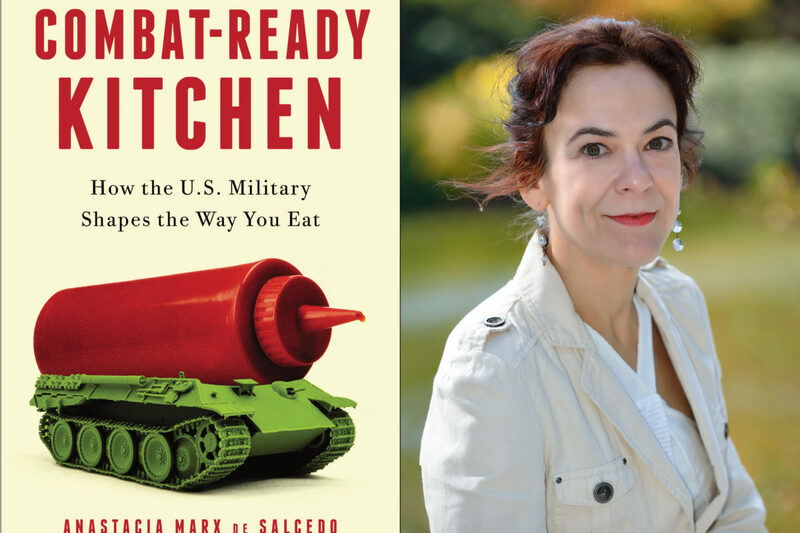 In her new book, food writer Anastacia Marx de Salcedo uncovers the U.S. military’s role in developing some of America’s most popular foods. 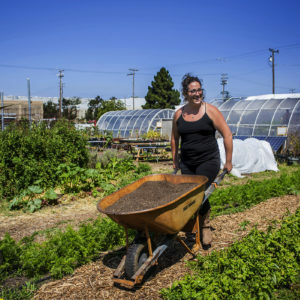 Anastacia Marx de Salcedo is no stranger to the food industry: a writer whose work has appeared in Salon, Slate, The Boston Globe, and Gourmet, she’s accustomed to considering edible topics as varied as Latin American recipe traditions and food safety myths. Marx de Salcedo is a passionate home cook, but as her career picked up speed and her three daughters grew older, she found herself relying increasingly on ready-to-go foods such as sliced whole wheat bread, deli meats, and yogurt tubes to provide them with fast, healthy lunches—or so she thought. After writing articles about the purported wholesomeness of highly processed foods such as organic mac ‘n’ cheese and breakfast cereals, Marx de Salcedo reluctantly turned her investigations to her own daughters’ lunchboxes. What she found shocked her. In her new book Combat-Ready Kitchen: How the U.S. Military Shapes the Way You Eat, she writes: “The components of the brown bag’s centerpiece foodstuff, far from being fresh and healthy, were positively geriatric, tricked up to appear youthful and brimming with artificial and possibly harmful ingredients.” What’s more, Marx de Salcedo uncovered a much-buried food industry truth: The majority of our processed foods were developed by the U.S. military. 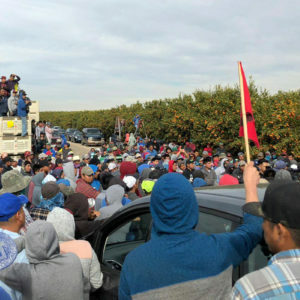 We spoke recently with Marx de Salcedo about why this military connection is so veiled in secrecy and the health implications it could have for millions of eaters. Do you think the average consumer would be surprised to learn how closely food companies work with the military? Absolutely! I was packing these lunches for my kids, and I started to think about how I had this feeling I was making something homemade. But when I looked into the long shelf life of these ingredients, I found an attribution to this army center [the Natick Soldier Systems Center in Massachusetts]. And I thought, “What’s the army doing involved in our food?” And then it started to make more and more sense to me. Of course they are very concerned with perishability, durability, and affordability. But it was a surprise to me, and I imagine it’ll be a surprise to most people. What would you say are the biggest negative implications of ordinary consumers eating military-developed foods? I see three negative outcomes. The first is that the military, in funding the research for army rations, has a very specific, extreme set of values: perishability, durability, affordability and, as a distant fourth, palatability. And because the military has a mandate to cede this technology to the private sector—in case there’s ever need for a huge production scale-up, a huge war—those technologies have found their way into many of our foods. If the military had long-term human health and environmental sustainability at the core of its mission, we would see a very different set of products on our supermarket shelves. Second, we don’t realize it, but we’re training our kids to be compliant warriors. Any parent has had the experience where their kids are playing computer games surrounded by wrappers and half-eaten food. And that is actually preparing him or her for, 10 years forward and a thousand miles away, to be sitting in a pop-up tent and monitoring some military equipment and eating rations. It’s kind of preparing our children for the American War Machine. I didn’t really understand how big this influence was. The food science opened my eyes to the bigger picture of how pervasive military influence is in American civilian life, and how militarized we are as a society. You write that after researching this book, you’re no longer a home-cooking fanatic. Does this mean that on the whole the positives of our country’s food development outweigh the negatives? In the course of writing the book, I ended up not having enough time to cook. And so my family ended up eating a lot of these products, and in part I was maybe experimenting on them a little bit. Interestingly, by the end of the book, my children were really sick of eating frozen food. They wanted me to go back into the kitchen. When I say that I’m no longer a home-cooking fanatic, I don’t mean to necessarily endorse the existing foods. But I can see that the possibility exists to come up with foods that are healthy and affordable for families, even though our existing offering is not there yet. I think it was the pervasiveness of the issue. In the book, I cover just a handful of foods—I had to jettison a whole bunch of topics because it took me 20 years to write the book and thousands of pages. The Natick Center is a Department of Defense federal laboratory. There are 80 military laboratories. They’re all doing the same thing, and some of them have even bigger budgets, so this is happening in medicine and automotive and construction, too. There are all sorts of daily-life impacts coming from the military that we are unaware of. Do you think any of this information has the potential to affect the shopping habits of your readers? When I go shopping with my kids now, they put things into the cart, and I say “army food” and take them out. We go through the aisles that way. We have a continual battle about energy bars specifically. They were something that my kids had eaten throughout their childhoods, and I hadn’t really thought about them, but now I think: “This is a low-quality food.” I try not to buy packaged deli products at all either. And I hate supermarket bread. So, yeah, I think it has affected my shopping habits, although certainly, all of these things sneak their way into my pantry. What do you find are acceptable substitutes for these foods? Well, I did notice that my kids definitely eat energy bars as candy. So now I actually let them eat a little bit of regular old sweets, desserts and stuff, and I steer them to fruit and nuts. When my kids are hungry, I say, “Hey, grab some nuts or seeds,” because I think they’re a really good pick-me-up. And in terms of bread, I’ve gone completely traditional. I go for breads produced in local bakeries if I can. 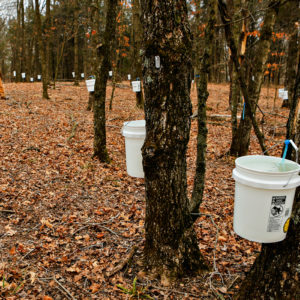 Do you think big food producers will continue to work hand-in-hand with the military? I certainly don’t see it easing off. It’s a big issue in battle—whether soldiers eat enough and get adequate nutrition—and it hasn’t really been solved. So they’re always tweaking and looking at new things. I see that involvement continuing. The article mostly focuses on the fact that a number of foods have their origins with the military. However, this is thrown out there as an objection to the foods in and of itself as though there is some major problem with eating food that the military helped developr. Why should we believe that? What makes the connection so bad, if it is in fact bad? The author warns that the military develops with "perishability, durability, affordability and, as a distant fourth, palatability" in mind. If palatability were such a far off concern, why are private consumers willing to choose to eat it? There is also a claim that these foods have "possibly harmful" ingredients. Well are they or aren't they? If not, what is the problem with these foods? The U.S. military has always been involved in the preservation of food products for military use, and in turn the modernization of food industry. After canning was developed in France in the early 1800s, it was used as a method of canning meat for U.S. troops who were stationed abroad. These canned meat products were poor, unhealthy and even contributed to mortalities and illness. After this, Upton Sinclair went undercover into a meat packing facility to report on its conditions and consequently wrote The Jungle. These events greatly contributed to the formation of what we now know as the FDA. Although also a government entity, and not without issue, it is clear that these products are much safer and healthier than they began in the 1800s.